Killdeer have arrived. They typically turn up in March, about two months before other shorebirds, such as the Spotted Sandpiper, do. 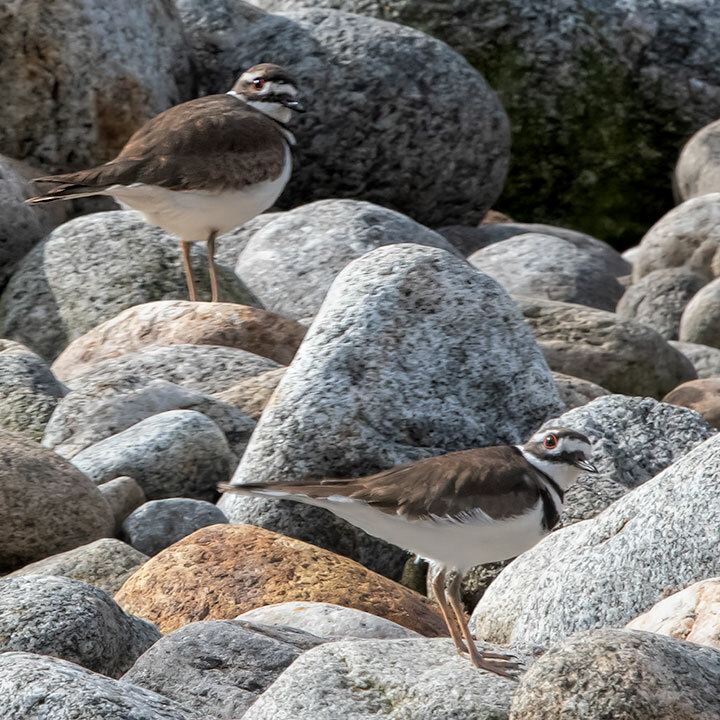 This morning a killdeer couple was seen exploring a rocky island near a creek mouth. Killdeer make their nests on open ground, so if they plan to nest on this island, they had better get on with it as the spring freshet will put the nest underwater in another few months. The just arrived killdeer couple was probably looking for a nesting site. Oh I do so love these well camouflaged shorebirds…not to mention their well hidden nests, easy to step on, so well camouflaged!